Perfect for all kinds of trips. 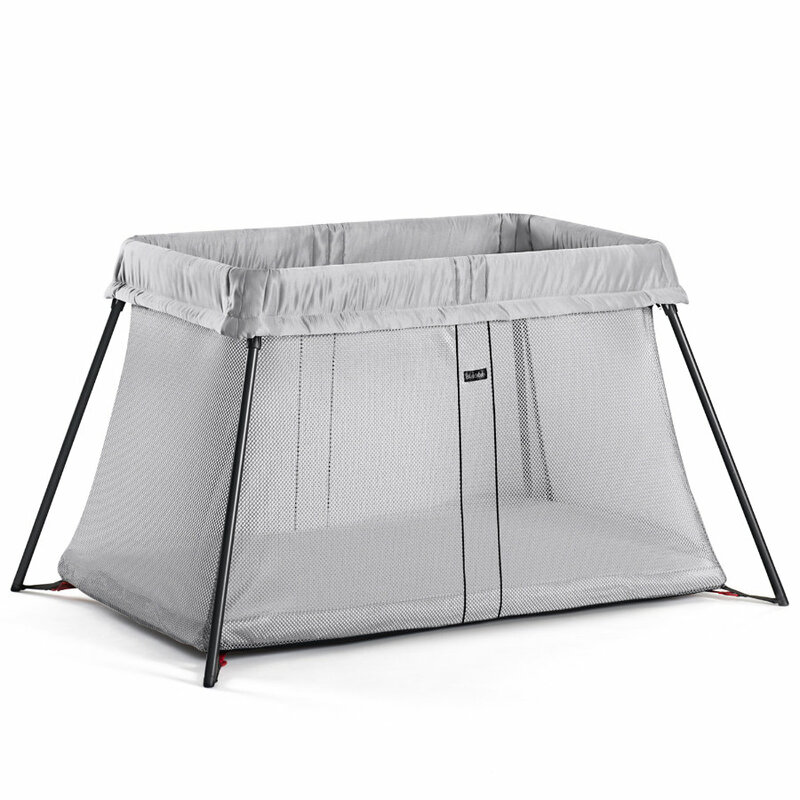 The Travel Cot Light is easy to carry, set up and fold away. The soft mattress makes the travel cot a comfortable and snug place for your child to sleep on a trip. Travelling with children typically involves a lot of luggage, so it’s good to know the travel cot only weighs 6 kg. When you’re not using it, simply fold it up and store it in the practical bag. Perfect for all kinds of trips. Open the bag, lift out the travel cot and set it up in one simple movement. When you’re not using it, simply fold it up and store it in the practical bag. The Travel Cot Light comes with a soft and comfortable mattress, making it a cosy place for your baby to sleep. The mattress has a built-in base plate that keeps the lightweight travel cot standing firmly on the floor, so your child can always sleep securely. The Travel Cot Light comes with a soft and comfortable mattress, making it a cosy place for your baby to sleep. Do not place an additional mattress in the travel cot. The BABYBJÖRN Travel Cot Light can be used from birth up to 3 years.